One of our most versatile items, the 5.11 Small Kit Tool Bag offers robust and customizable storage for a broad range of applications. Whether you're looking for a way to keep your wrenches and screwdrivers organized, store your toiletries when you travel, or stash a first aid kit in the trunk of your car, the Small Kit Bag has everything you need. A fold out organizer panel offers zippered mesh pockets that keep your essential items in plain sight, a roomy main compartment is reinforced to secure heavier items, and a secondary pocket at the rear provides plenty of room for accessories. 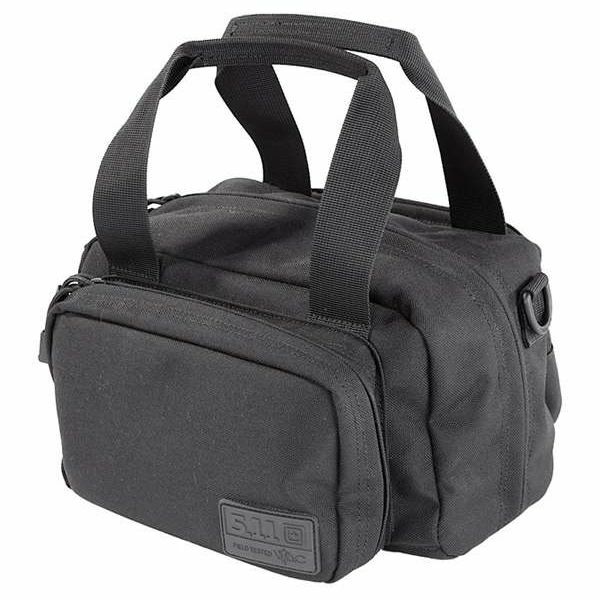 Built from ultra-durable, weather resistant 1050D nylon, the Small Kit Bag keeps your gear safe and secure in any climate or environment.